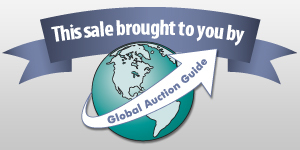 BEFORE YOU BID, READ THE "INFORMATION LOTS" OF THIS AUCTION. ALSO, PLEASE READ & REVIEW the Full Auction Terms & Conditions. TERMS & PAYMENT: 10% Buyers Premium for Payment by Check or Cash. 15% BP for payment by MasterCard or Visa. NC Sales Tax of 6.75% unless exempt. CLICK ON FEATURE PHOTO TO SEE MORE PHOTOS OF EACH LOT!! THERE ARE NUMEROUS PHOTOS OF EACH LOT. SHIPPING is Available via The UPS in Morehead City, NC. Shipping is the responsibility of the BUYER - See Terms of Auction. JAMES DEAN Autograph & Pictures of Hollywood's Original Bad Boy. Framed Autograph and Collage of Photos from Movie Sets, Photo Shoots & Porsche 550. HARRY HOUDINI the Great Magician, Professionally Framed Autograph, believed to be from February 1911. General W.T. SHERMAN Signed piece of a Letter by General Sherman as Secretary of War (Sept. 6 1869 � Oct. 25 1869) A rare gem from Civil War era. ROBERT MORRIS, Signed Business Letter, 1786 and Picture of Bob Morris Signer of each of the Three most important "Founding Father" Documents. STAINED GLASS PANEL - Tulip and Buds Leaded Stained Glass Window Panel with Metal Frame. 36.5" Wide by 18.5" Tall. NATIVE AMERICAN Artifacts - Display Case with Painted Bow & Arrows with Arrowhead Tips and Feather Decoration. "THE BRONC BUSTER" Framed Mixed Media Art Print, Marble Colorado 1904 by Suserre Tslage.